IN WEST ALLIS ALSO SERVING MILWAUKEE, HALES CORNERS, NEW BERLIN, GREENFIELD, GREENDALE, FRANKLIN, BROOKFIELD, WAUWATOSA WISCONSIN! Next Patient Appreciation Day is Wednesday, April 5th! For more information or to schedule an appointment with our West Allis chiropractor, call 414-763-4673 today! Dr. Kenneth Price is one of the only New York Chiropractic College graduates practicing in Wisconsin. 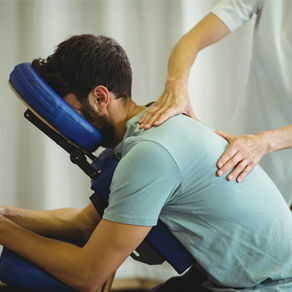 Price Chiropractic offers full chiropractic and massage therapy services focusing on musculoskeletal problems. We take more time with our patients to work on the muscles and joints in addition to manual adjusting. Dr. Price is also a Federal Certified Medical Examiner through FMCSA. To schedule an appointment for an exam, call 414-763-4673 today! We gladly accept most insurance providers including Medicare, Medicaid, auto, and workers compensation. Patients may pay with cash, checks, credit cards. We handle all of the paperwork for you. Payment plans are available. If you are new to seeing a chiropractor and want to find out more, please email us or call 414-763-4673 to receive personalized answers to your questions from our friendly team. We also welcome referrals, so feel free to use the "Send to a Friend" link located at the bottom of every page to share our health information with your friends and loved ones. Dr. Price treats patients injured in auto accidents, personal injury, and is featured in Your Legal Guide. "After only a few sessions with Dr. Price, I feel so much better. My flexibility has greatly improved. I would recommend Dr. Price to anyone!" "Dr. Ken spends as much time on me as needed. I have many areas of need. He gets to all of them. Normally I get twenty solid minutes and feel great when we're done. I didn't know there was as much difference between chiropractors, but Dr. Ken is far superior to any prior doctor." Proud member of the Wisconsin Chiropractic Association!